Schedule a personal Tour at your convenience & Learn more about our Program! Don't Miss out on an Amazing Summer. Many of our groups are about to close out. Book a personal tour, visit our Open house or Enroll now to secure your spot at the Best Camp in Morris County, 5 years running! North Jersey's Best for 5 Years Straight! 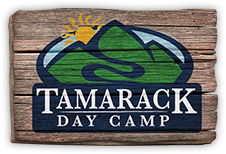 Tamarack Day Camp is a co-ed day camp for children ages 3-15, located in Randolph, NJ. We specialize in creating amazing summer experiences that our campers remember for a lifetime.